Risk Adjustment Validation (RADV) audits have two main purposes, to ensure contracts have met CMS’ submission requirements, and to validate HCC codes by ensuring the submitted diagnoses are supported by medical documentation. 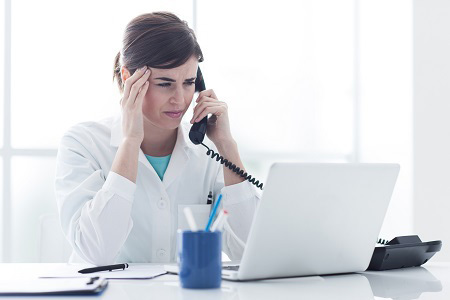 If selected by CMS for a RADV audit, a mistake in either one of these areas can have severe financial consequences, so there’s one key question you want to ask yourself: How can I be prepared and reduce the stress of the RADV audit? First determine your risk of a RADV Audit. Has there been a change in coding, Part C/D Violations, “up-coding”? To mitigate the potentially costly impact of a RADV audit, make sure the medical coders who are coding and reviewing the medical records understand and master all relevant HCC coding guidelines. Assess the quality of the data available including access to critical charts in both PDF and EMRs. Validate all existing charts to look for HCCs that are not supported by documentation as well as pinpoint HCC revenue opportunities. Be prepared with 100% defensible support. Conduct a mock RADV audit to expose strengths and weaknesses of the readiness of an audit. Following these steps to prepare and reduce stress of the RADV audit process will improve your workflow, thereby allowing you to preserve revenue integrity by submitting complete, accurate and timely data.